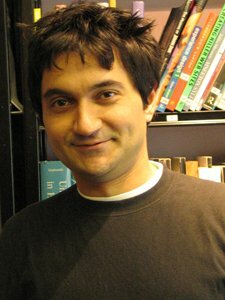 Koray Tahiroğlu is a postdoctoral researcher – Academy of Finland (pr. 137646) and lecturer in the Department of Media, Aalto University, School of Arts, Design and Architecture. He practices art as a researcher, as well as a performer of interactive music. After receiving his Master of Arts degree with his “From Me to Us, computer-generated music installation”, which was exhibited in Helsinki and in Toronto, he began his doctoral studies at Media Lab, TaiK, Helsinki in 2004. He conducted an artistic research with a focus on studying and practicing human musical interaction. Tahiroğlu has completed the degree of Doctor of Arts with the dissertation entitled “Interactive Performance Systems: Experimenting with Human Musical Interaction” after its public examination in 2008. He is the founder and head of SOPI (Sound and Physical Interaction) research group, coordinating several projects with research interests including embodied approaches to sonic interaction, participative music experience, multimodal physicality in sound and interaction. Since 2004, he has been also teaching workshops and courses introducing artistic strategies and methodologies for interactive music. Tahiroğlu has performed experimental music in collaboration as well as in solo performances in Europe and North America.